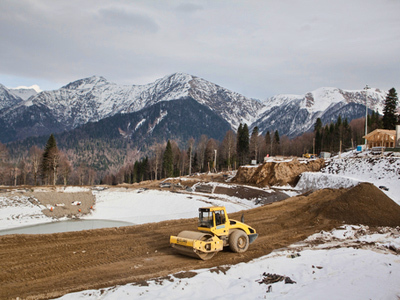 Besides international recipes, there will be Russian cuisine and traditional North Caucasus meals at the Sochi Olympics – that's the hope of the city's mayor, Anatoly Pakhomov. “There are many nationalities in our city. 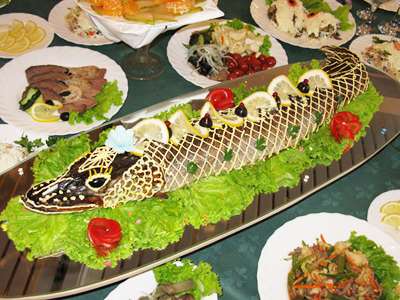 So Sochi's cuisine has distinctive local colors. We are hoping that entrepreneurs who will cater to the Olympic venues will be able to share all that with our guests,” Pakhomov told RT. 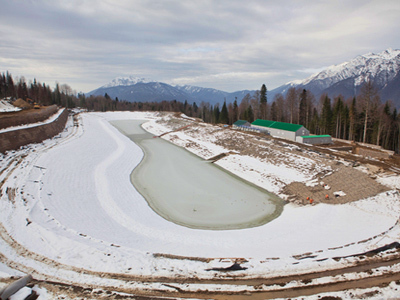 62 restaurants, 40 cafeterias and 27 fast food joints will provide meals for athletes and guests of the 2014 Sochi Winter Olympics. Local authorities are hoping that the region's own chains and agricultural companies will play a key role. The organizers of the event are planning to implement a special nutrition system with eight specific user groups in mind. A similar approach has been used in laying out the guidelines for the London 2012 Olympic and Paralympic Games. “This involves the athletes, the media, the workforce, the Olympic family. All of these various groups have very different responsibilities and requirements. Therefore, the food styles are very different, which makes the games unique,” said British professor David Russell, a nutrition and catering expert who took part in a Sochi industry forum on providing food and cleaning for the Olympics. Besides diversity and an innovative approach, food safety is another major concern. The 38-day-long event requires the highest standards and quality of service from all participants. And finally, say catering professionals, it is important to provide special meals, keeping in mind the visitors' cultural diversity and dietary requirements. It is expected that more than 200 experts representing restaurant chains and cleaning companies from all over the world will be able to share their experience ahead of the February 2014 sporting event.